Andrew was born in East Devon, and was practically born in a cider orchard. He even had a treehouse in a big old Bramley tree in the garden! And behind his house in Ottery St Mary was an old orchard full of horrible tasting cookers (he didn’t know the difference then) and some vicious geese! The orchard belonged to an old farming family of Luxtons, and sadly went the way of many orchards – developed into houses in the 1980’s. Andrew trained in tree surgery and horticulture, and went on to work in various parts of England and Scotland. Later he came across the orchards in Worcestershire and spent a spell on the West Coast on Gigha in the walled garden, which also had good fruit! Andrew has always grown fruit trees, and his first introduction to heritage trees was when he instigated the planting of old Scottish varieties at Culzean Castle in 1990. 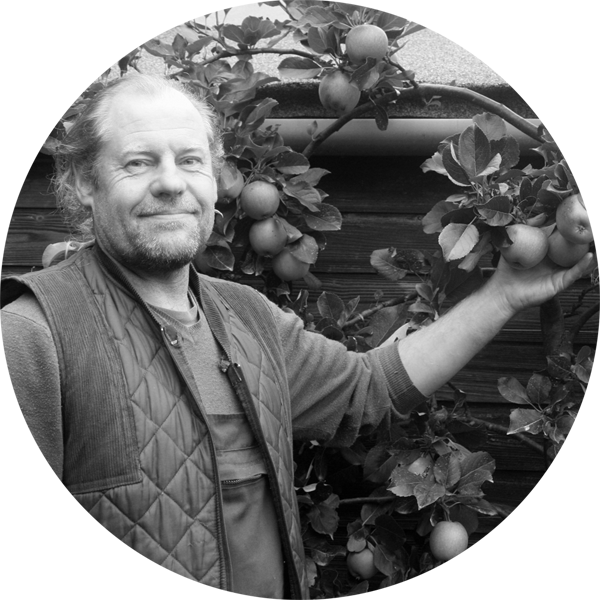 He now puts 30 years of horticultural knowledge into practice by teaching and advising orchard groups and owners throughout Scotland, and propagating our heritage varieties of fruit. Despite emanating from the turgid Essex-East London shadowlands, Margaret steadily progressed countrywards and northwards, landing finally and with commitment in Scotland in 1990 as a horticulturist, wild food fiend and mother of two babies. 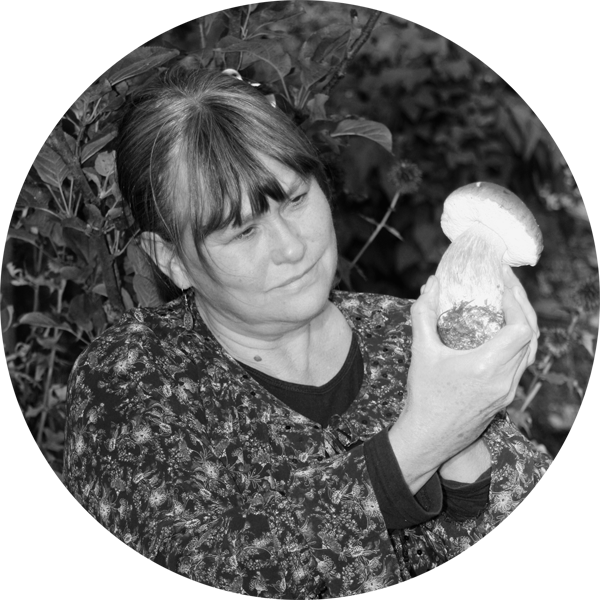 From a first career as a primary teacher, Margaret inherited gardening from her mother and a passion for the country and the natural world from a childhood regarding the lack of it in a suburb called Chadwell Heath. Eventually, realising plants can be better relied upon to respond to you than children, Margaret graduated in science and retrained in horticulture, since when she has worked in landscaping, nursery production, semi-self-sufficient smallholding, and, of course, education – which always creeps up and grabs her from behind. Margaret has now retired from the business, but will be seen at many events and markets no doubt! She now reads as many books as she can get her hands on, takes an increasingly insane border collie for long walks, cossets hens and ducks and geese, and thinks about heroes, sub-atomic particles, Casablanca, black holes, tea and slime moulds. All while listening to Radio 4, as a rule, but occasionally to a diverse selection of music. Rowan is our communications extraordinaire! She updates the website, designs the e-newsletter and prods Margaret & Andrew to tweet interesting things. She’s even been known to turn her hand to budding apple trees! Rowan is an avid cyclist, and elsewhere, her varied talents include writing and filmmaking. Derwyn is a qualified Environmental Consultant, specialising in hydrology. His skills and advice come in handy when we carry out orchard surveys and write management plans.